work fast and accurately straight on the Point Cloud. Cross Profiles and Sections straight on the Point Cloud. 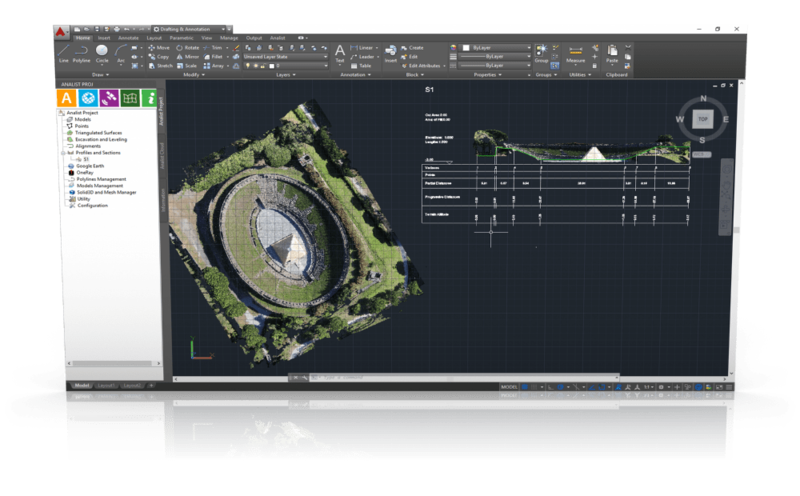 Analist 2016 CLOUD has been designed to handle huge quantities of data and it is therefore the ideal tool for the complete management of the Point Clouds generated with drone flights, Laser Scanners o other equipment and Pix4Dmapper or Autodesk Recap. With Analist CLOUD you can work directly on the Point Cloud. Analist CLOUD enables you to work at high speed and most accurately directly on the Point Cloud. So whatever your field of expertise: land surveyor, archtect, engineer, geologist the new Technology based on the Point Cloud obtained from camera on DRONE opens up to a wide range of opportunities in terms of execution speed and result accuracy. 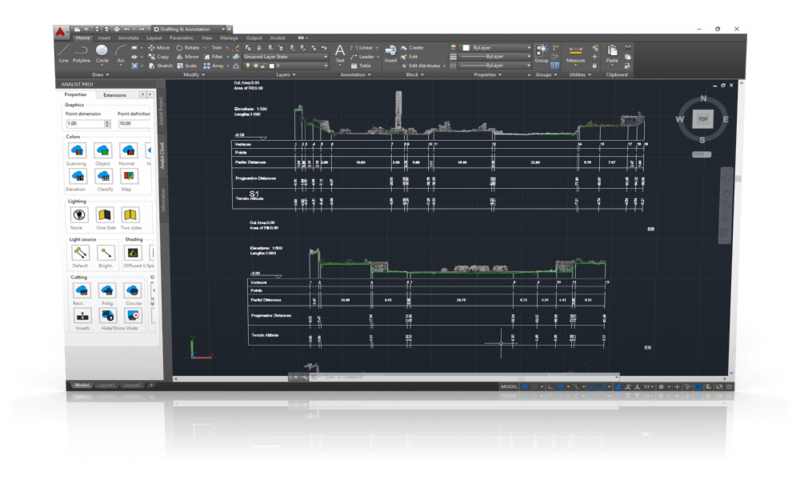 If you need to assess and evaluate the surface of a building front, or if you need to trace Land Cross sections and Profiles, now with Analist CLOUD you can be fast and accurate directly on your Point Cloud and also produce highly professional Print Layouts which are updated automatically every time you edit your project, always working in an AutoCAD environment. With Analist CLOUD you can work fast and accurately directly on the point Cloud.